If you’ve had pancakes once, you’ve had them a thousand times. 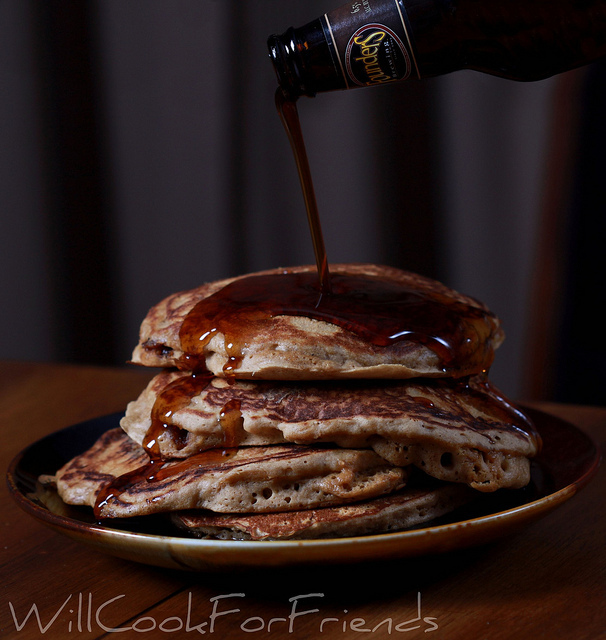 But what if I told you there was a way to make your predictable pancakes even better? Breakfast is by far my favorite meal. There are just so many yummy, carby, gooey foods to choose from. But when it comes to the most important meal of the day, you can have too much of a good thing. 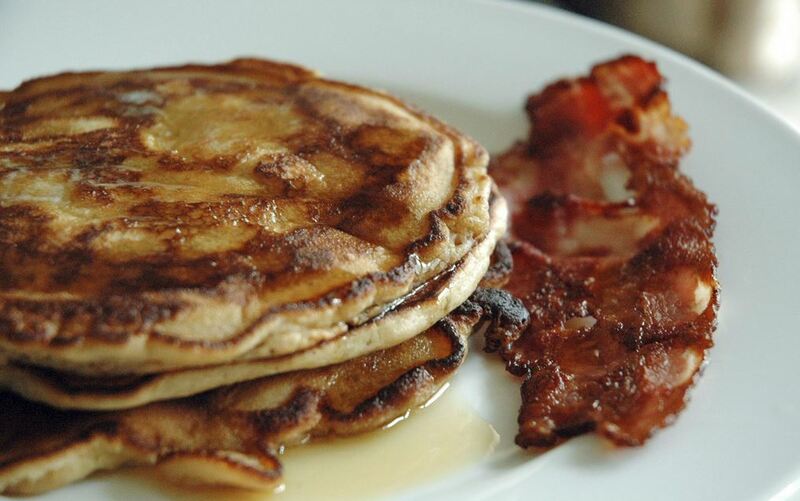 Eat too many bland buttermilk Shortstacks, and it may turn you off from pancakes forever. A pancake that pretends to be healthy while still loading you up with carbs can take up space on my plate any day of the week. Bright green avocado and kale pancakes, made with fresh lemon juice and almond meal, are fun for the kids while appeasing the health-conscious adults. These deceptive little “health” cakes are the work of a genius. No, you have not died and gone to pancake heaven. This is actually a real thing. 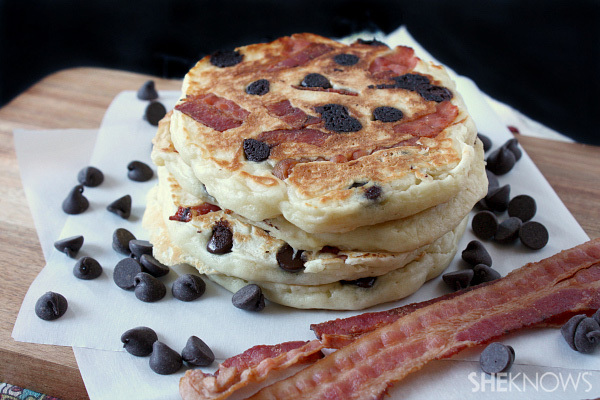 It’s safe to say that these salty-sweet bacon-chocolate hotcakes may be the most addicting breakfast food you haven’t tried yet. So, we all agree that adding bacon to a breakfast food works out great, but what about adding a sweet vegetable like corn? 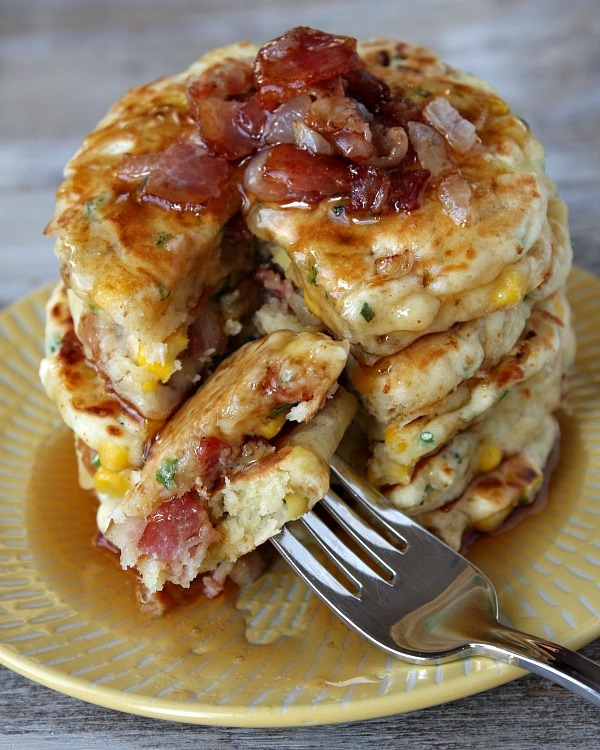 In a recipe that is so right it can’t be wrong, bacon, corn, cheese, sweet onion, chives and cayenne pepper come together in a savory griddle cake — still topped with maple syrup. Call it a hangover cure, or call it golden brown machismo on a plate, but beer and bacon mancakes are impossible to resist. It was only a matter of time before some dude finally figured out how to include his two favorite food groups in his breakfast: One small step for man, one giant step for pancakes. While I’m normally a balsamic-vinegar-and-oil-on-a-salad kind of girl, I’m not opposed to mixing it up in the a.m. This surprisingly tasty recipe was born when Kaishin Chu of Dash of Food couldn’t find any buttermilk pancake mix on a camping trip. Swapping in strawberry-infused balsamic vinegar for the missing ingredients made for the perfect breakfast-saving hack that birthed a brand-new pancake. When in Japan, you’re missing out if you don’t try the traditional Japanese pancake. 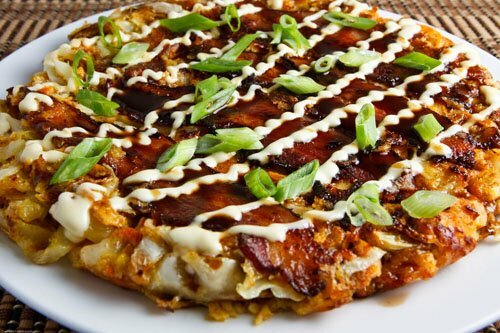 Enjoy okonomiyaki (or the “as you like it” pancake) in the customary style, topped with shredded cabbage, meat, mayonnaise and okonomiyaki sauce (similar to Worcestershire sauce). Or have it your way, and throw on anything that looks good in your fridge. You might have to file this one under “breakfast for dinner,” unless you think you can stomach a cheeseburger before your morning commute. 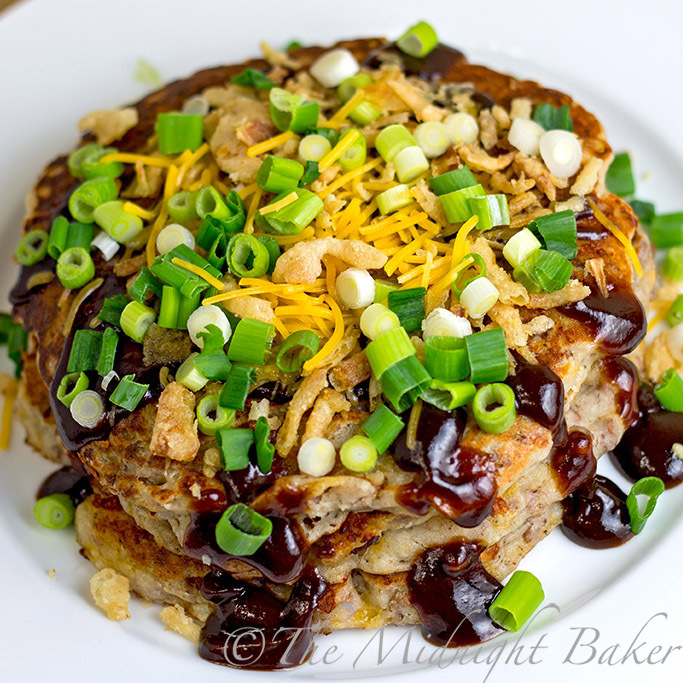 The Midnight Baker’s loaded bacon cheeseburger hotcakes are almost as good as the real thing — made with Bisquick, ground beef, bacon, cheddar cheese and green onions. 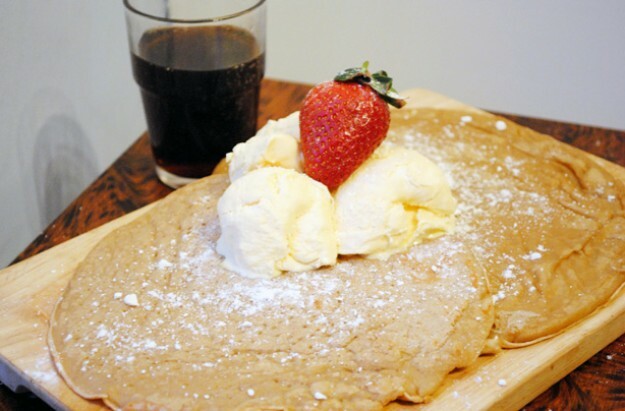 The Dr Pepper pancake concept borders on frightening, but it’s the kind of thing you have to try at least once — even if you’re years past living in your college dorm room. All you need is pancake batter, Dr Pepper, ice cream and sugar, and in a good 10 minutes, you’ll be ready to enjoy the most delicious gut bomb of your life. If you’re sick of syrup in the morning, I’ll do you one better: Half Baked Harvest’s Mediterranean pancake-fritter hybrid covers all the bases. 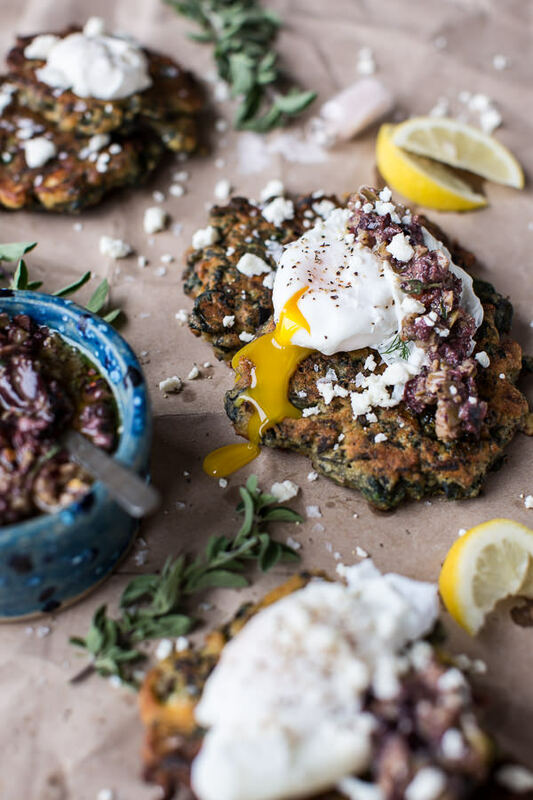 These tangy pancakes are flavorful, fresh and filling, best served with poached eggs and homemade olive tapenade. So maybe you have died and gone to pancake heaven. That may be the only place where combining two mouthwatering comfort foods and calling it breakfast is socially acceptable. If you’ve never dreamed of putting OJ and basil in a plain ole pancake before, you may be surprised by how well it works. 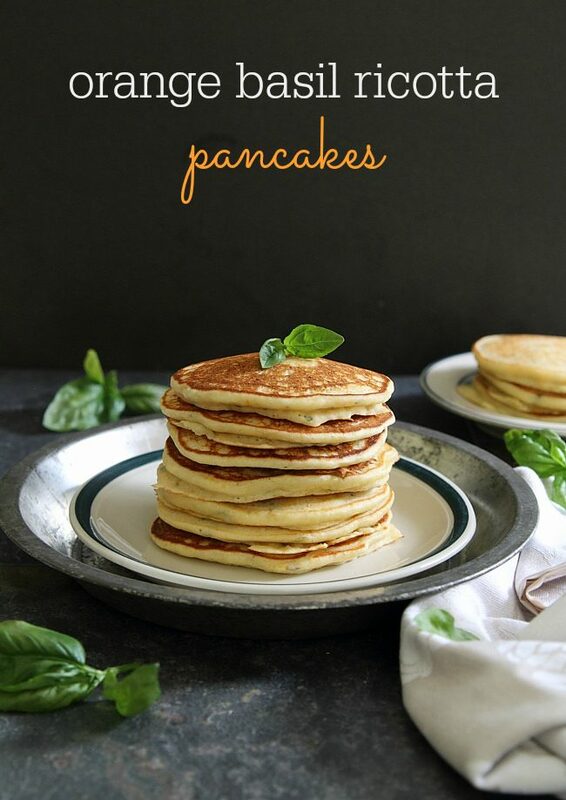 These gluten-free pancakes made with basil, orange juice, vanilla extract and whole-milk ricotta taste deliciously fresh without being overly sweet. 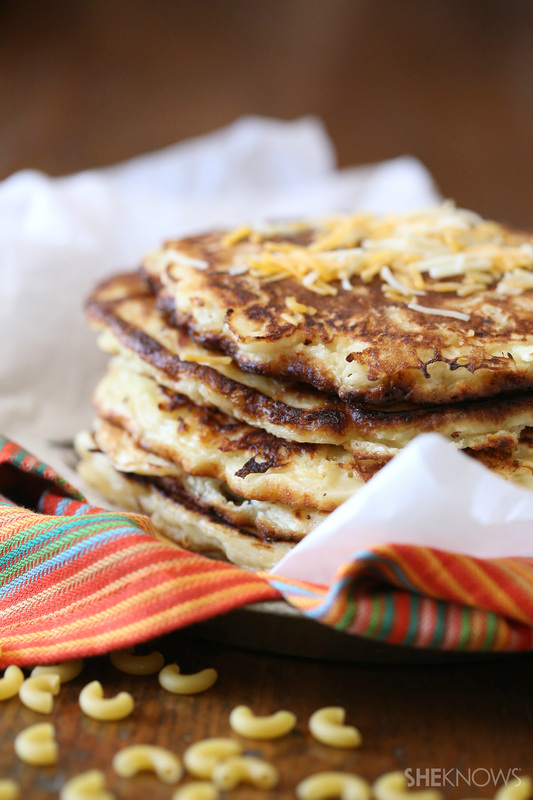 Re-created for Black History Month, these inventive pancakes have a fascinating backstory. 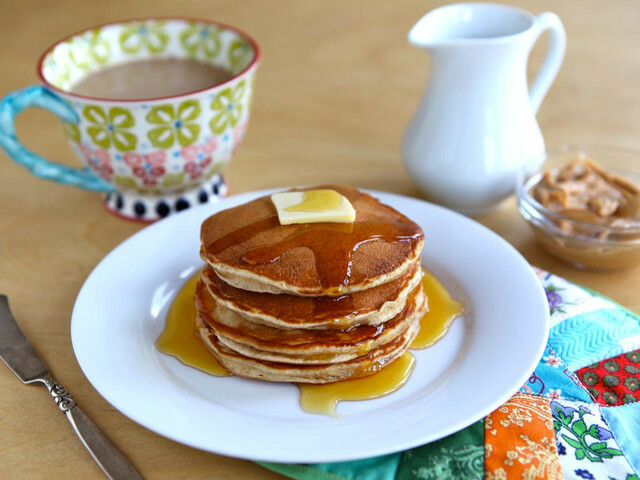 Tori Avey shares her version of the peanut butter pancake recipe recently uncovered in Rosa Parks’ personal papers, and yes, it’s as good as it sounds. 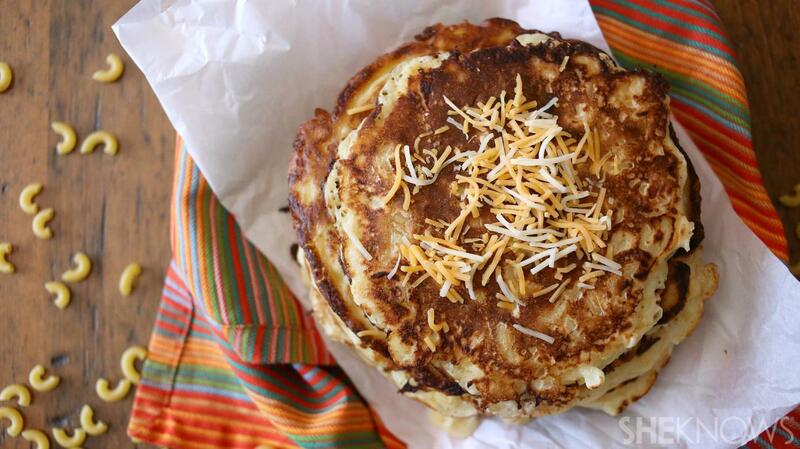 Forget the root beer float — just put it in a pancake. 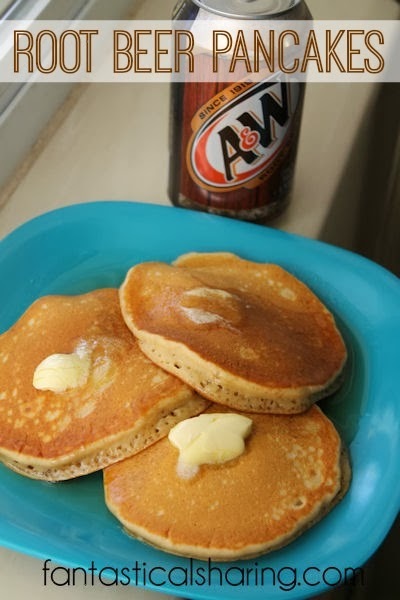 A delicious cousin to the strangely addicting Dr Pepper pancake, Sarah of Fantastical Sharing insists that adding root beer to pancake batter makes for an even lighter and fluffier flapjack. Keep this recipe on hand for those times when you want to eat a corn dog in the morning without looking like a total idiot. 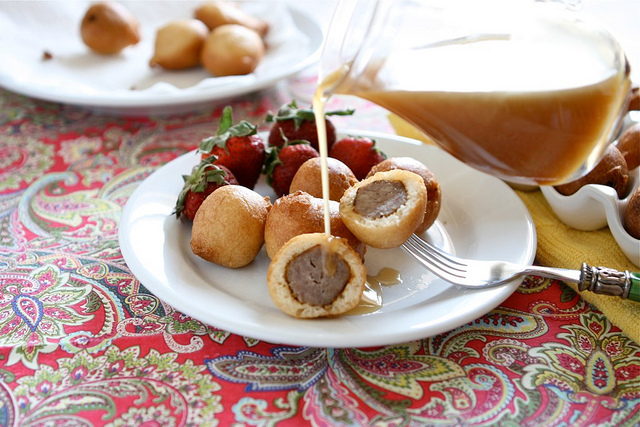 These sausage pancake bites from The Hungry Housewife are truly the best of both worlds: juicy bites of breakfast sausage cooked into a lighter-than-air pancake crust. Don’t forget the syrup for dipping.